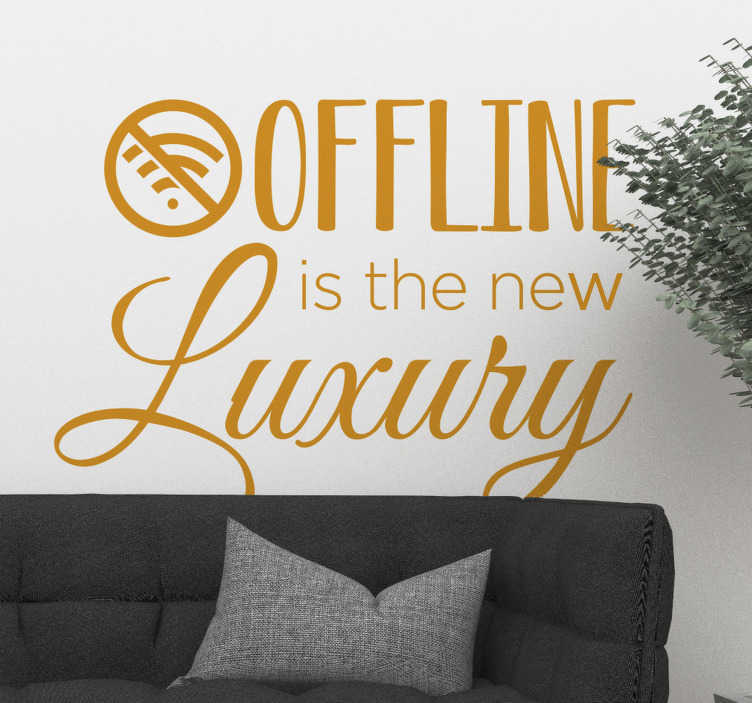 Offline is the new luxury! Oh how true this statement might just be - With WiFi so prevalent in this day and age, sometimes it is nice to be somewhere completely offline, where no one can reach you! That´s why we have created this fantastic living room decal! Ideal wall decor for anywhere selling itself on the fact that they have absolutely no WiFi!